Dwell by Cheryl: "Sprucing Up the Patio"
Every Spring I spend one whole day gardening. You can read about this year's Gardening Day HERE and last year's gardening day HERE. It's typically the day when I clean things up and officially begin the gardening season. This year, I actually didn't complete the process so I was on a mission to do so while I was on vacation last week. My original plan was to sew them together with twine, but after getting two stitches complete in about ten minutes, I shifted to Plan B. Did you know they make outdoor duck tape? Yep, they do. 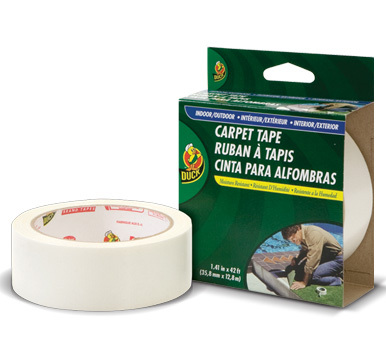 I didn't use this, but I may actually go back and redo it with this specialty tape. I simply taped the 2'6" X 6'7" runners together, careful to align the stripes. 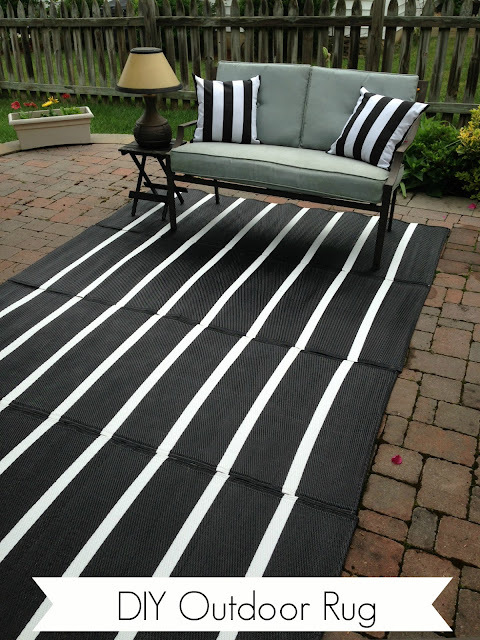 In a few minutes, I had a huge cost-effective graphic black and white stripe outdoor rug. Yes! 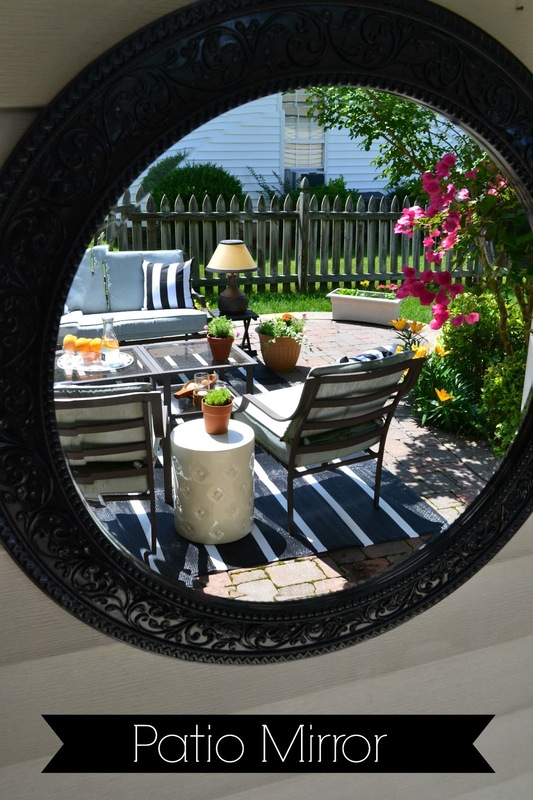 Next order of business, an outdoor mirror. I've been pinning them lately. You can check out my board on Pinterest HERE. I loved the look of those indoor/outdoor options, but as usual wanted a cost effective option. I found this lightweight large circular one at Tuesday Morning for $19.99. Yes please. It wasn't the color I wanted, but I knew we could fix that. I had recently read about this new 2X the coverage spray paint, so this project gave me a chance to use it. It really does cover in half the application amount/time. Love it! The addition of a few summer plants and some staging and I'm feeling much better about how my patio looks. And just so you know that I live in the real world with you, I got home tonight after a series of severe storms blew through our area and THIS is what it all looked like. No worries! I fixed it. Happy Friday! Your patio looks lovely Cheryl. You're proof that even a thunderstorm can't stop creativity. :-) Keep the inspiration coming! Looks great! Can't wait to sit out and have a glass. Welcome Summer :) Very pretty!!!! Love everything about this...especially the mirror! 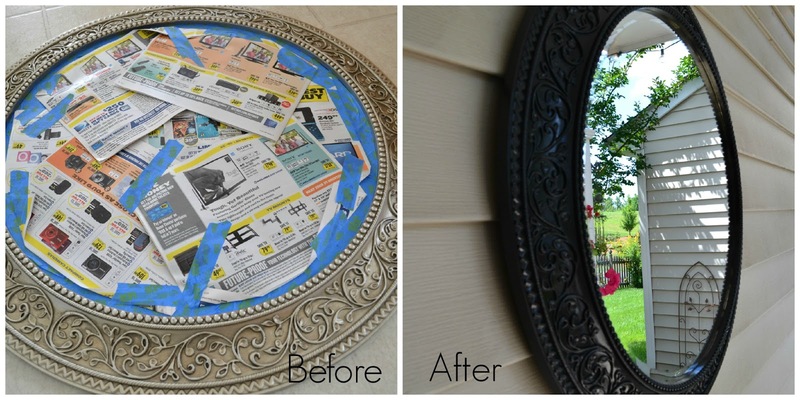 You design are super.......In simple words "Awesome"
How did you attach the mirror to the siding?